Honda, one of the leading manufacturer of cars in India known for its highly refined engines has officially announced of its entrance into the Indian two wheeler sector with Honda CBR250R as its first powerful offering. Across the world the bike has already received immense appraisal and its the turn of the Indian market now to welcome it. As announced by the company,April 2011 will be the month of its introduction into our market and it will compete against the Kawasaki Ninja 250R and the very recent Mahindra Mojo 300CC. The Ninja on one hand costs around Rs. 3 Lakh INR whereas the Mojo is priced at 1.75 Lakh. The CBR250R’s single-cylinder engine produces a remarkably broad torque curve with peak torque generated at an easily accessible 7000 rpm. Peak horsepower kicks in at 8500 rpm, well before the 10,500-rpm redline—further testimony to the wide spread of power. Such power characteristics facilitate easy, responsive operation while also returning impressive fuel economy. Engine countershaft sits lower than the mainshaft to further reduce the front-to-back engine dimension. Programmed Fuel Injection (PGM-FI) continuously monitors several variables to ensure the correct fuel mixture for the existing riding and atmospheric conditions, thereby delivering optimal performance and remarkably crisp throttle response over a wide range of operating conditions, plus increased fuel economy. Thanks to its single-cylinder configuration, the CBR250R incorporates a light, compact and fuel-efficient powerplant, resulting in an overall package that is remarkably compact and nimble for intuitive handling dynamics. Diamond twin-spar steel frame plus a 37mm front fork and Pro-Link® single-shock rear suspension provide impressive handling and a comfortable ride. ABS version available for enhanced braking characteristics. 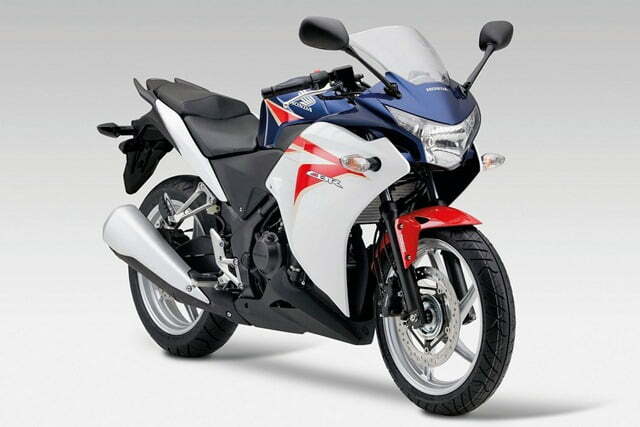 Base weight of only 359 pounds gives the CBR250R outstanding maneuverability and helps instill rider confidence. Stylish full fairing with windscreen deflects the oncoming wind to boost rider comfort. Sporting ergonomics keep the rider perched in a well-balanced seating position to deliver a natural feel and comfortable stance even over daylong rides. Full-sized 17-inch cast wheels return big-bike feel and handling traits. 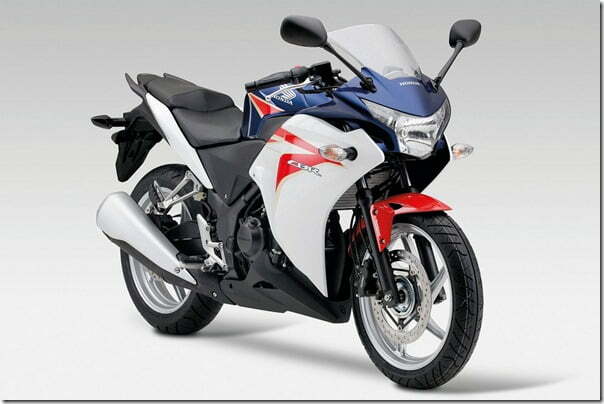 Fuel capacity of 3.4 gallons gives the CBR250R a cruising range of more than 200 miles. 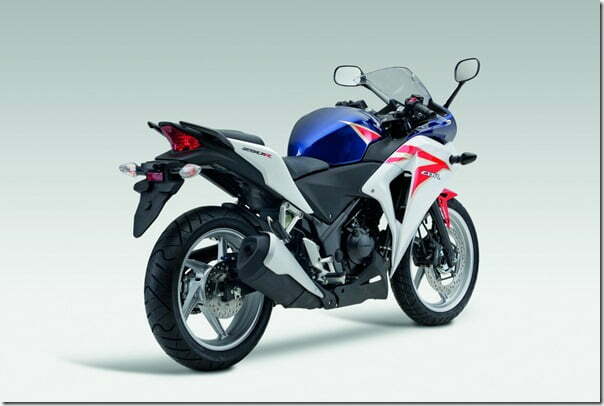 A handy underseat storage area adds to the CBR250R’s versatility. Multi-function digital instrument pod includes speedometer, tachometer, engine temperature display, fuel gauge, clock, odometer and trip meter.